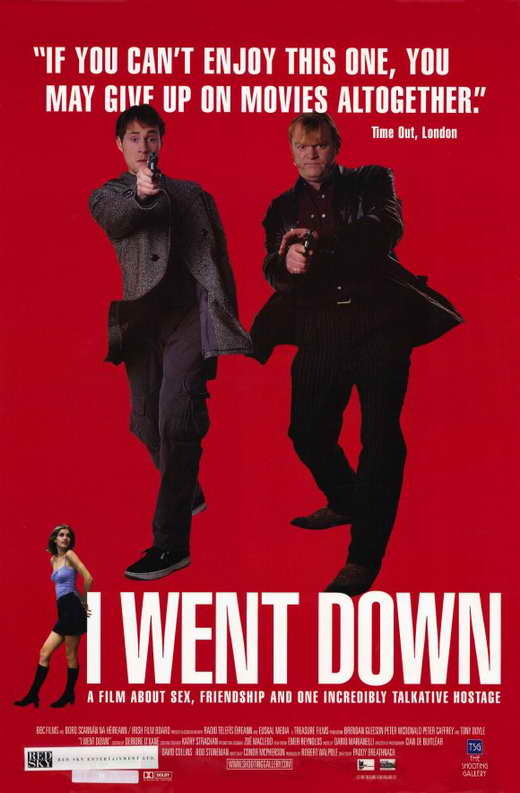 Made in 1997, I Went Down is probably one of the first of the post-Tarantino Irish gangster comedies of which there are now way too many. Indeed, to watch I Went Down is to notice how similar it is to later films, such as Intermission and Perrier’s Bounty, in terms of tone and in terms of the characters. As the original though, I Went Down is still thoroughly entertaining. 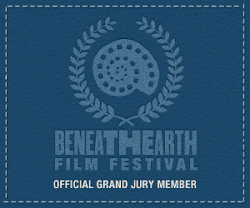 Git Hynes (Peter MacDonald) is just out of prison and has nowhere to go. He meets up with an old friend Anto (David Wilmot) and is almost immediately caught up in an gang punishment. Protecting Anto from a violent gangster Johnner (Michael McElhatton), Git comes to the attention of boss Tom French (Tony Doyle). To make amends, he has to do a job. Teamed with one of French’s men, Bunny Kelly (Brendan Gleeson), Git and Bunny must drive to Cork in search of a man, Frank Grogan (Peter Caffrey), who has unfinished business with French. The job turns out to be much harder than it at first seemed. In its opening moments, I Went Down feels like a typical Irish gangster comedy, with a luckless lead character, a typical role for Brendan Gleeson, some comically inept villains and an off-kilter tone, which suggests folk songs and westerns. If Perrier’s Bounty and Jump hadn’t felt redundant and out of date before, they certainly do now. Furthermore, it all only goes to show how great In Bruges had been, that, despite all the typical trappings, it had succeeded in being thoroughly unique and subtly serious. Having said that, while Perrier’s Bounty, Jump and ultimately, despite it being a hit, The Guard are cinematic dead-ends, I Went Down deserves a bit of praise for being the first, for being funny and for not being hopelessly dated – after all, in 1997, I Went Down was only the Irish equivalent of a raft of American indie crime comedies all inspired by Tarantino. So while it isn’t groundbreaking in the same way that Rocky Road To Dublin and Poitín were/are, it was a welcome break from troubled history stories like the previous year’s Michael Collins, Some Mother’s Son and The Boxer. I Went Down shows Irish cinema trying to get away from The Troubles and become a part of the film movements of the time. Finally, Irish cinema was allowing itself to have fun. Ultimately, the main appeal of I Went Down is that it is fun. The plot unravels well and the pace is quick, it doesn’t waste any time and it is consistently funny. Brendan Gleeson is always a joy to watch and though Peter MacDonald’s brand of doe-eyed naïveté never really caught on (see also When Brendan Met Trudy), it is endearing here. There is also a slightly serious undertone to the film in that Git is frequently worried that he is involved in something that might lead to murder. There is a certain morality at play here, which is too often missing in American or British gangster films that often mistake cruelty for cool. In keeping with this, nearly every character is given some sort of distinguishing characteristic or even a degree of likeability. This unwillingness to be cold-hearted adds to the fun, but it also ensures that you can watch I Went Down without getting a bad taste in your mouth. This lightness of touch feels distinctly Irish, as if the film is a bit of craic and anything too dark or violent will only ruin the fun. This is hardly a flawless framework for future films (witness I Went Down director Paddy Breathnach’s subsequent Man About Dog) but done well, it can work simple wonders. As far as flaws go, there are few that matter – only the dull pair of female characters that the film itself can barely be bothered with (what else is new?) and an out of place conversation at the fade-out. This review will be shorter than usual because, simply, there isn’t much else to say about I Went Down other than to repeat that it is good, undemanding light entertainment.